The 8’5 x 31” A short SUP with that short SUP feel. 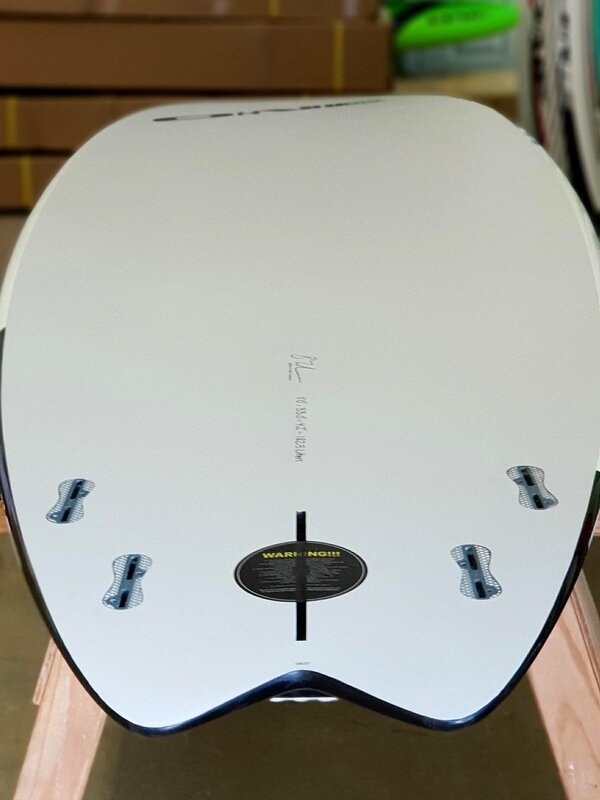 Nice pulled in nose that draws back to a semi wide, square tail that gives great stability off the back foot, this is a board that likes to be surfed off the tail and will still draw great lines with its wider outline. As with all ONE SUP's surf range this board features sleak pulled in rails and with it's 31 inch width it comes with amazing stability. 9’0 x 29” is a one board quiver! The 9ft ONE SUP really is that amazing board, it surfs like no other 9ft board on the market with its amazing speed and drive that will leave you thinking there is no way this could be a 9ft board. This also makes a great light persons flat water cruising board as it's super light and very easy to carry around but still paddles great in the flat water. 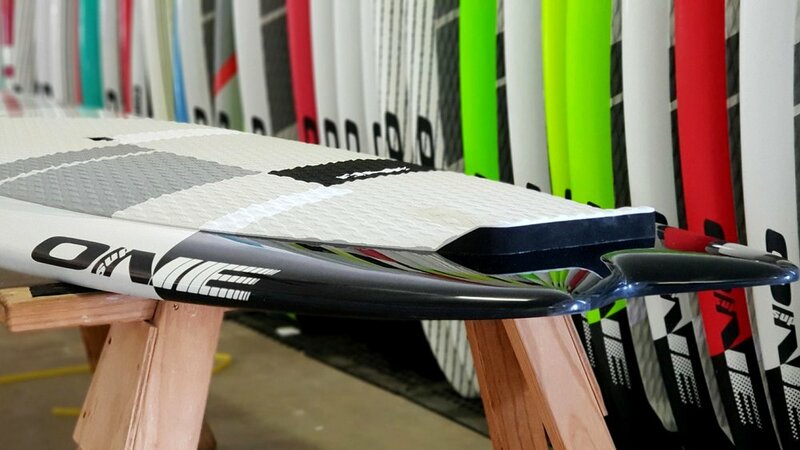 This is the ONE SUP full longboard style board, it features a very thin rail profile which allows for long drawn out, old school rail to rail turning. With a great nose profile for walking to the front and pulled in square tail this board is all about fun. 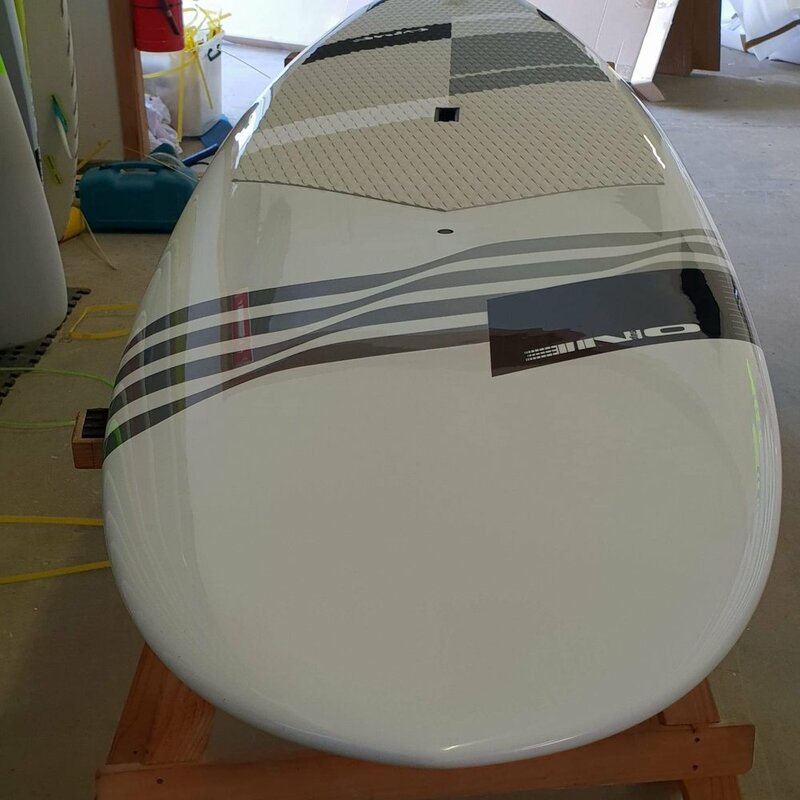 10ft x 30” is The perfect 10ft board with amazing stability this board has the performance that you would want in a board a foot shorter, it is a breeze for the whole family to enjoy there time on the water but in no way does this sacrifice it's surf ability with this being a true 10ft performance board. Are you a that person wanting a bigger board that will perform in the waves? Then this is the board for you. With its 34" width it has crazy good stability that will make standing out the back in messy waves a pleasure. This is also a great family board as anyone can just jump on and paddle it and having the wider outline allows for a board that you can quite easly throw the kids or a dog on the front and still paddle with ease.